Only two more weeks left in the fall 2013 anime season and things are starting to wrap up. This week I’ll be sharing my thoughts on Samurai Flamenco episode 20, Kill la Kill episode 22, Nagi no Asukara episode 23, Tokyo Ravens episode 22, and Golden Time episode 22. This series just keeps pulling all sorts of weird twists and turns. While everything had settled down after Masayoshi’s wish, we get all these strange occurrences everywhere. Haiji’s takes his obsession with Samurai Flamenco to extreme levels. He was fascinated by the unnatural and odd nature of seeing a “super hero” and completely lost it. He realized that everyday life isn’t so interesting and made an effort to become a villain so Samurai Flamenco could return to fighting against evil. His twisted way of idolizing that one aspect of Samurai Flamenco basically drove him to madness. The episode also raises a lot of questions including whether or not Haiji is real. Only Masayoshi has interacted with him and he’s supposedly dead. However, all those incidents did end up occurring which makes it hard to say for sure. Since things have returned to a dull and normal life, Masayoshi may have had some difficulties coping and as a result created this scenario within his head. 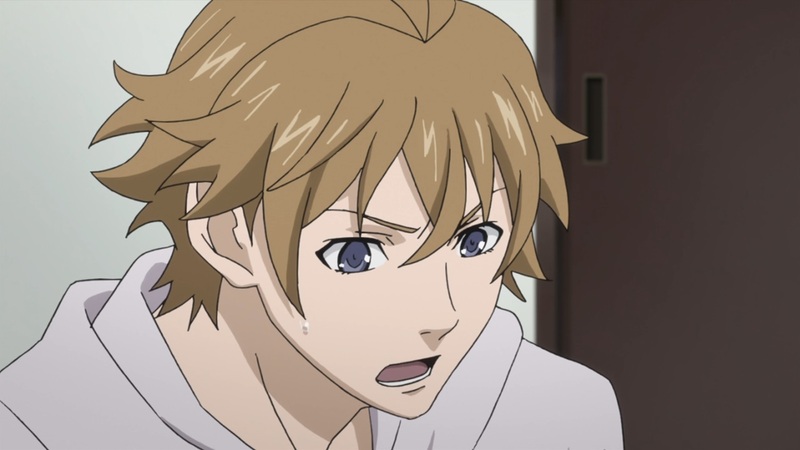 I thought that Masayoshi’s frustrations were well portrayed. He was desperate trying to get people to hear him out and believe him. 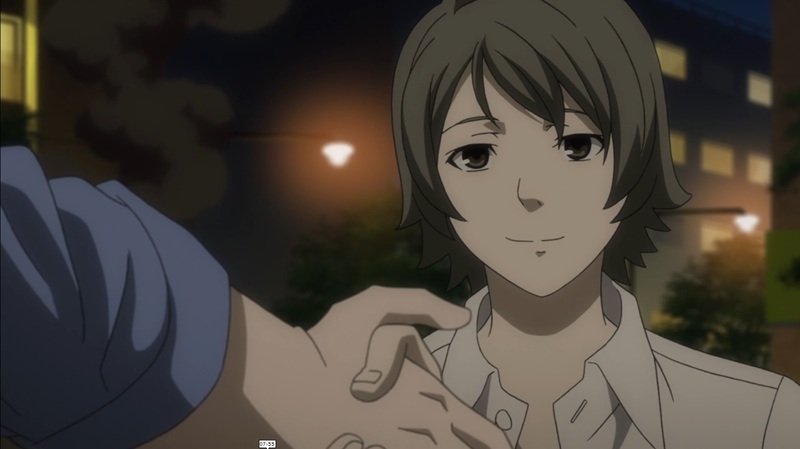 On top of that, everyone had kind of moved on in their lives while Masayoshi was stuck dealing with this whole ordeal. The Flamengers had moved on and went back to what their lives were like prior to all the craziness while Mari and the other idols went back to performing and writing music. Masayoshi’s mental state appears to be deteriorating as well as this “Haiji” character continues to torment him and take away everything he cares about. This was another entertaining episode.The main highlight for me was watching Nui completely lose it. She’s always been a playful character, but the fact she’s actually taken damage means that playtime is over for her. It was also nice to see a bit of development between Ryuuko and Satsuki as well. Satsuki realizes why the plan she had worked so hard on had failed. She always acted alone and for her own motives. She used everyone and everything at her disposal for her own motives. She never really stopped to realize that these people served her because they actually believed in her. After being defeated by Ragyou and having everything stripped from her, she’s realized that she doesn’t need to fight alone but can rely on others at times. 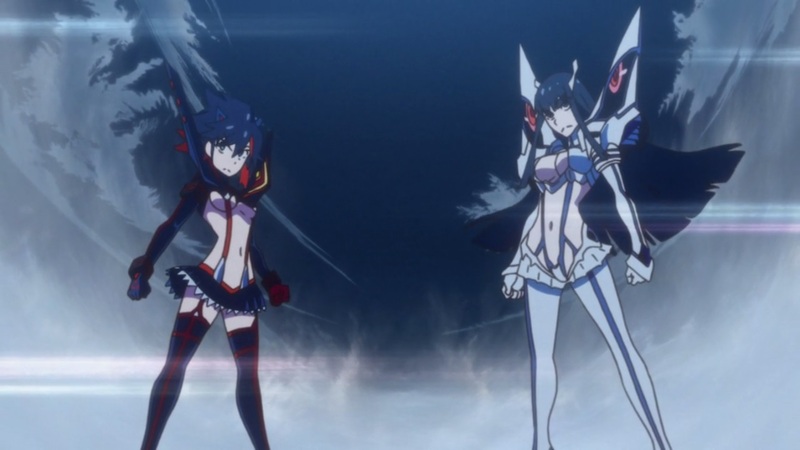 Satsuki and Ryuuko are putting their past behind them and uniting together to take on a common enemy. I think one of the main messages about this show that most can agree on is that “love” is painful. Here we have a group of kids who are just experiencing their first loves yet none of them are truly happy with the situation. Everyone is in love with another person who is in love with someone else. 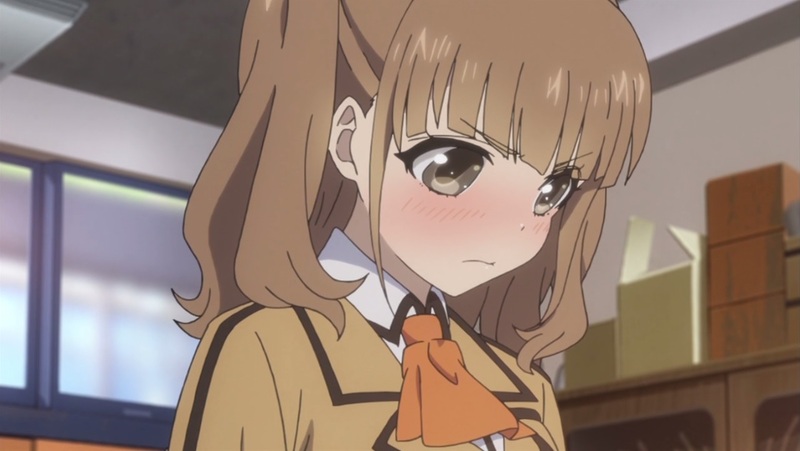 It was interesting to see each of their perspectives on Manaka’s inability to love. Sayu seems almost like a hopeless romantic who can’t sit still and just wait for things to happen. Kaname and Chisaki in the past were a lot more passive when it came to their romance and wounded up constantly being hurt. With Sayu’s more proactive approach, she can at least not have any regrets and not live her life not knowing how it would have turned out. 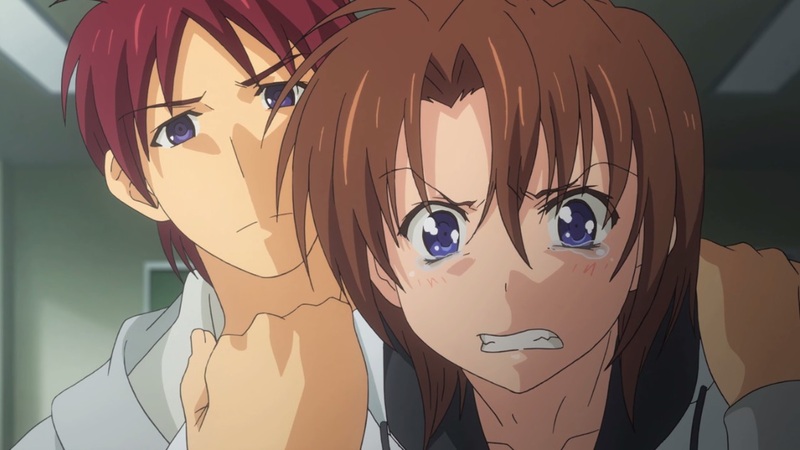 At the end of the episode, Tsumugu’s feelings are finally revealed to Chisaki who still continues to avoid everything. Tsumugu gaining ena felt a little odd to me. He was taking a pretty big chance that he’d gain ena based off of one research example. 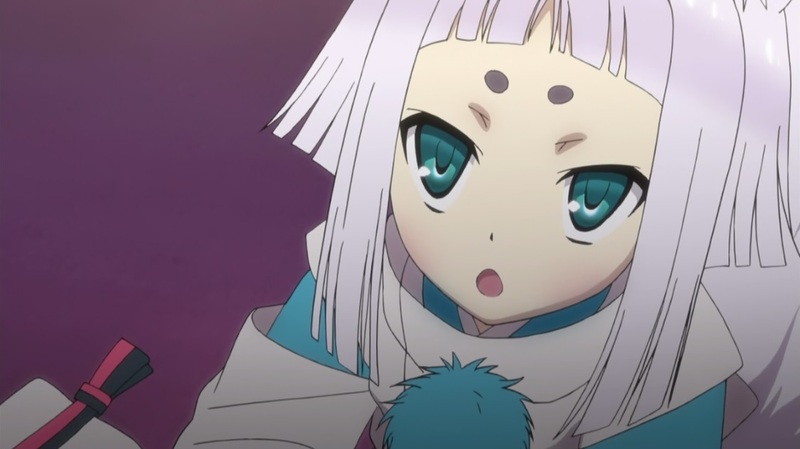 It wasn’t as big of a revelation as Manaka’s (which is understandable since hers was more of a twist). With that said, I thought it was rather symbolic that Tsumugu was the one who found Chisaki in Shioshishio. 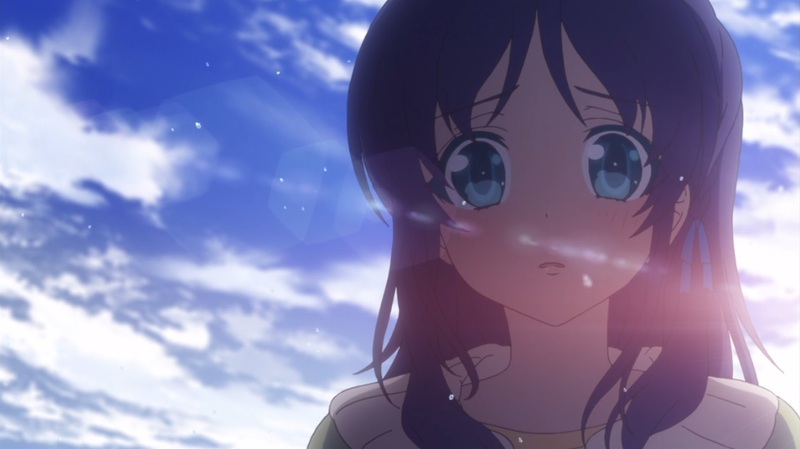 One of the reasons why she had fallen in love with Hikari in the first place was that he was always there for her. In the past, when Chisaki had lost her way or needed help, Hikari would be the one to guide her back. This time, Tsumugu is the one to find and comfort her instead of Hikari. Perhaps Chisaki will finally see that Tsumugu has always been by her side these past five years and stop holding on to the past with Hikari. Things are getting more intense as we head towards the finale. The rebirth of Yakou was a catalyst to the fateful clash between all of these different factions. The Onmyo Agency appears to be the antagonists in the situation but at the same time, they don’t really see themselves as such. They believe that their ideals will result in a better world and will do anything to achieve it. However, despite them having a great deal of respect for Yakou, it seems that they’re only interested in their own motivations. They’re trying to manipulate the legendary Yakou to further their goals instead of treating him as a comrade (as they previously mentioned). I’m interested in seeing how the last two episodes play out since we have all these different battles occurring all over the place. Hopefully each battle is given ample screen time. It’s about time that everything is thrown out into the open and all the characters are finally aware of the situation. Even though Banri was confronting his past recently, he was still suffering from depression from the fear of change. If he regains his memories, then he’d lose all that he has once again since he’s already run away from what he used to have. I still believe that Kouko is doing all this because she feels it’s whats best for Banri. We know from the past that she’s always been incredibly insecure and lonely. She’s always been pushing Banri, trying to make him happy but after discovering the anti-depressants, she may have realized that she’s actually been causing more stress for him in the end. The fact that Banri didn’t want to cause her to worry about another one of his breakdowns probably lead to her wanting to cut it off so he would stop suffering as much. I don’t see this series ending in any way other than Kouko and Banri being together since they spent so much time developing their relationship and she’s the poster girl for the entire series. That’s it for week 10 of the continuing fall 2013 anime season. Once again, since the end of my semester is coming up I’ll probably be strapped for time for the next two weeks and may not be able to post as much as I’d like. Regardless, my winter week 10 should be up tomorrow. I’ve already posted my spring pre-air thoughts so check that out if you’re interested in seeing which anime I’ll be following.